In Princely Brothers and Sisters, Jonathan R. Lyon takes a fresh look at sibling networks and the role they played in shaping the practice of politics in the Middle Ages. 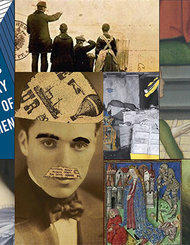 Focusing on nine of the most prominent aristocratic families in the German kingdom during the Staufen period (1138-1250), Lyon finds that noblemen--and to a lesser extent, noblewomen--relied on the cooperation and support of their siblings as they sought to maintain or expand their power and influence within a competitive political environment. Consequently, sibling relationships proved crucial at key moments in shaping the political and territorial interests of many lords of the kingdom. Family historians have largely overlooked brothers and sisters in the political life of medieval societies. As Lyon points out, however, siblings are the contemporaries whose lives normally overlap the longest. More so than parents and children, husbands and wives, or lords and vassals, brothers and sisters have the potential to develop relationships that span entire lifetimes. The longevity of some sibling bonds therefore created opportunities for noble brothers and sisters to collaborate in especially potent ways. As Lyon shows, cohesive networks of brothers and sisters proved remarkably effective at counterbalancing the authority of the Staufen kings and emperors. 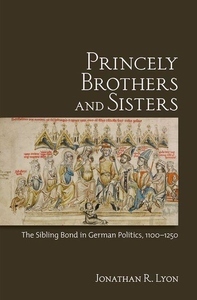 Well written and impeccably researched, Princely Brothers and Sisters is an important book not only for medieval German historians but also for the field of family history.